← Naruto Shippuden Episode 373: Team 7 Assemble! 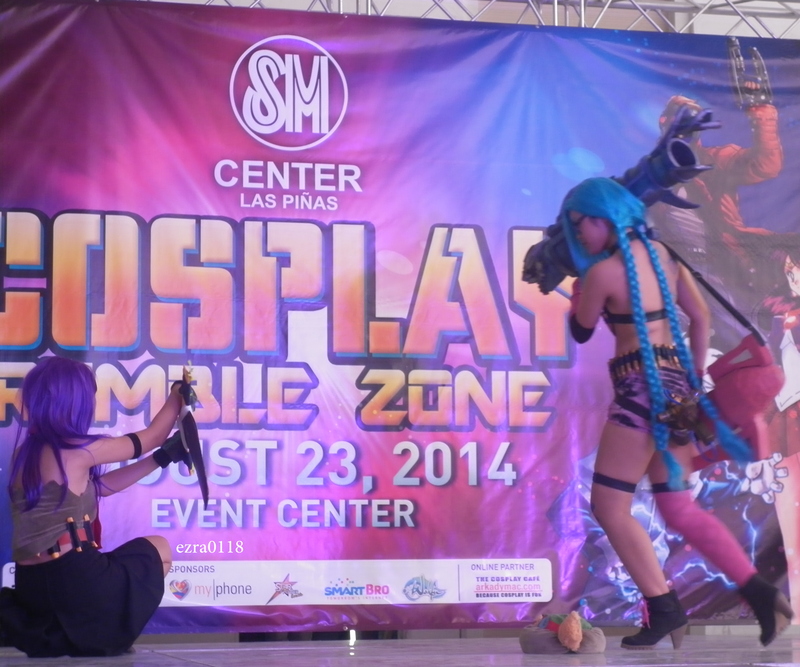 Otaku Alert: Pave Way for Cosplay Rumble Zone! 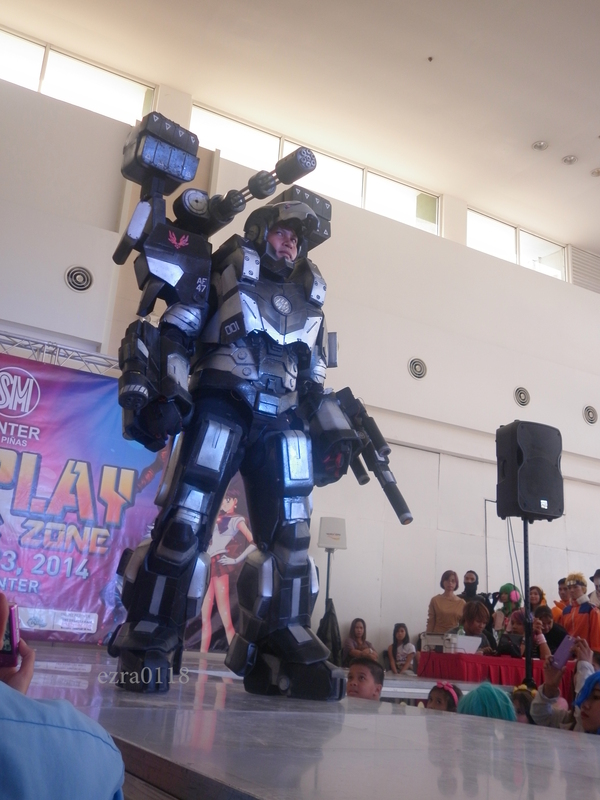 Several fans and anime/manga enthusiasts gathered today, August 23, for an event hosted by iCOZPLAY Philippines held at SM Center Las Piñas. The registration for the contest participants began at around 11 am and the program started at 2 o’clock. The entrance fee was only P30, and those who bought gadgets at the said mall from August 1-23 could enter the venue for free as long as they could present a proof of purchase. This is the only souvenir I got from today’s event. 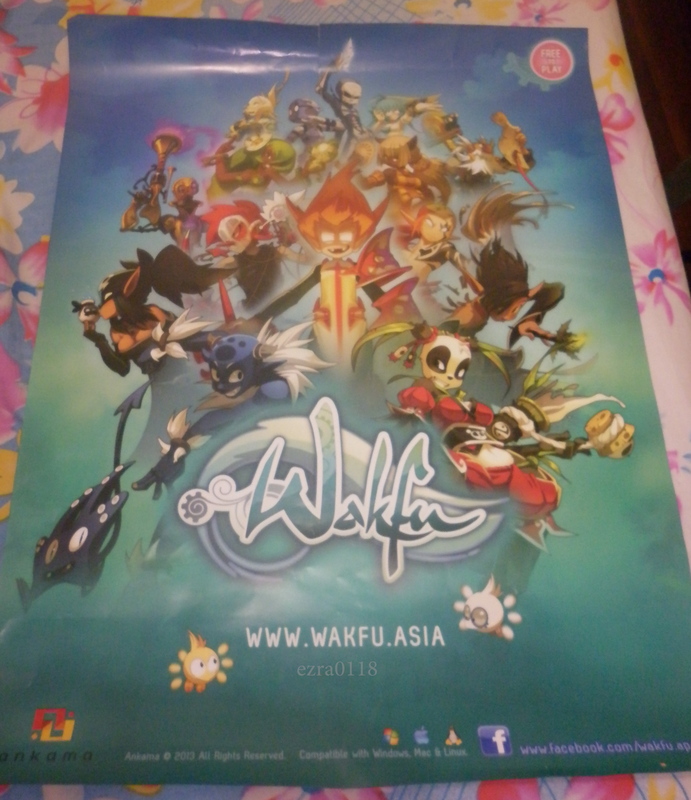 I managed to catch this poster when the MC threw it on our side. A big thanks to that mom who gave me this coupon. She was the actual winner from the raffle draw but out of nowhere, she just suddenly gave it to me. Now I have something to give to my mother. Teehee. The show started with the Group Category and there were only three participants in the said division. After that, there was a short performance by IEM’s RainDrop which was immediately followed by the continuation of the contest. 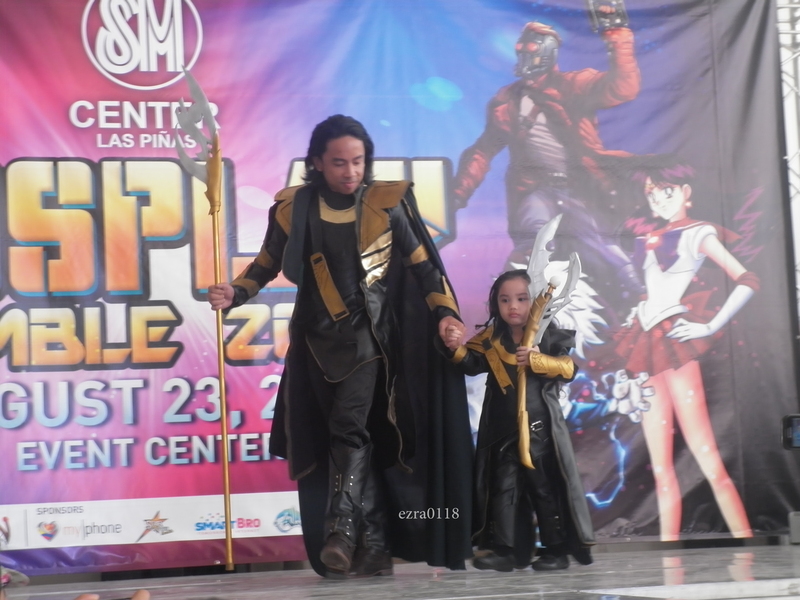 This time, it was the Chibi category, and that was probably the cutest set of cosplayers that I’ve ever seen so far. 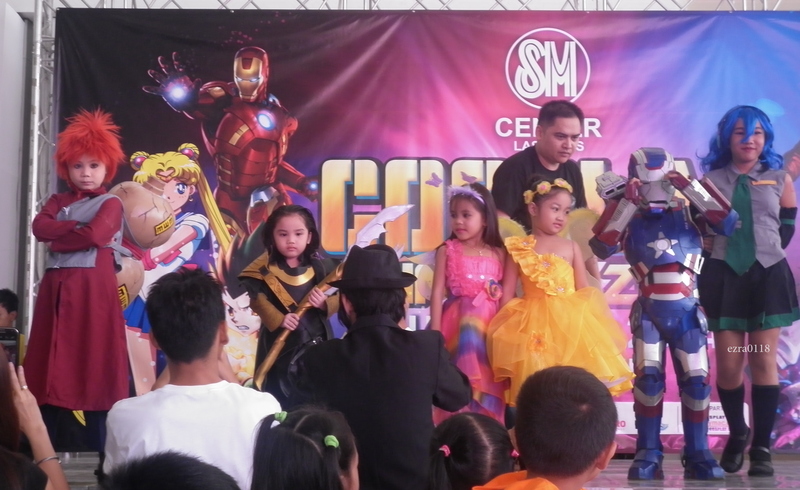 There were more than 10 kawaii girls and boys who graced the stage wearing their awesome costumes. They totally nailed it and they were in character throughout the whole competition. 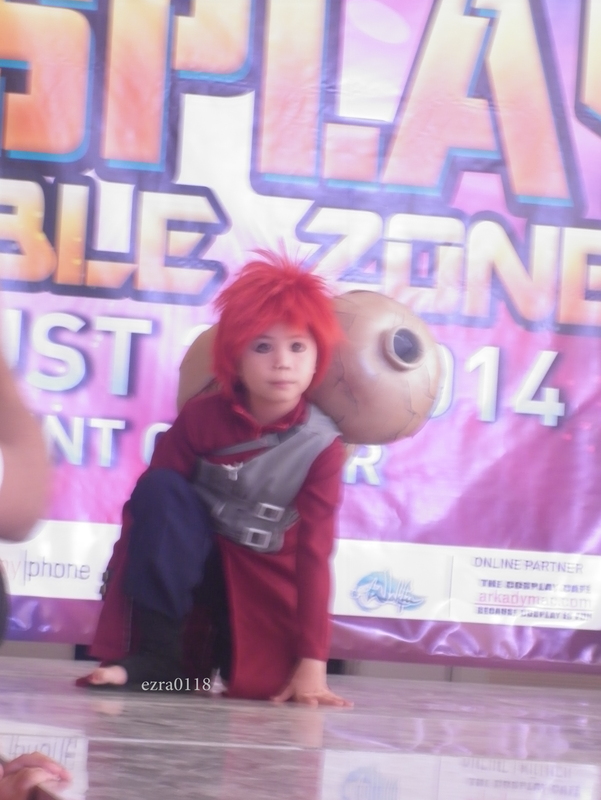 The audience particularly cheered for the kid who imitated Gaara, and she was actually my favorite from the group. The way she presented herself was very professional and when she partly transformed as Shukaku (Ichibi or One-Tail), the crowd erupted in cheers and admiration for her perfect portrayal of Gaara. And yes, she is a girl! I was also even surprised when I found out. I instantly became her fan and we took a photo together after her performance. (She was also behind me until the end of the show, and you guys don’t know how much I fangirled because of that. Lol.) Other children represented several characters from various animated films, games, tokusatsu and manga such as Bleach, Shingeki no Kyojin (Attack on Titan), Kamen Rider Den-O, Dragon Ball, Monsters Inc., etc. For the Individual Category, there were more than 20 contestants who went on stage to show off their outfits. Others danced while some of them displayed their martial arts/fighting skills just like the characters they were portraying. They also entertained the audience with their antics and funny background music and dance steps. The judges also asked some of the contestants regarding their costumes and the characters they chose to represent. This mini-version of Sasha Brown is ready to crush the Titans! A special prize was also given to Cosplayer #10. She was granted a scholarship for a three-month modelling lesson sponsored by Star Power Entertainment. 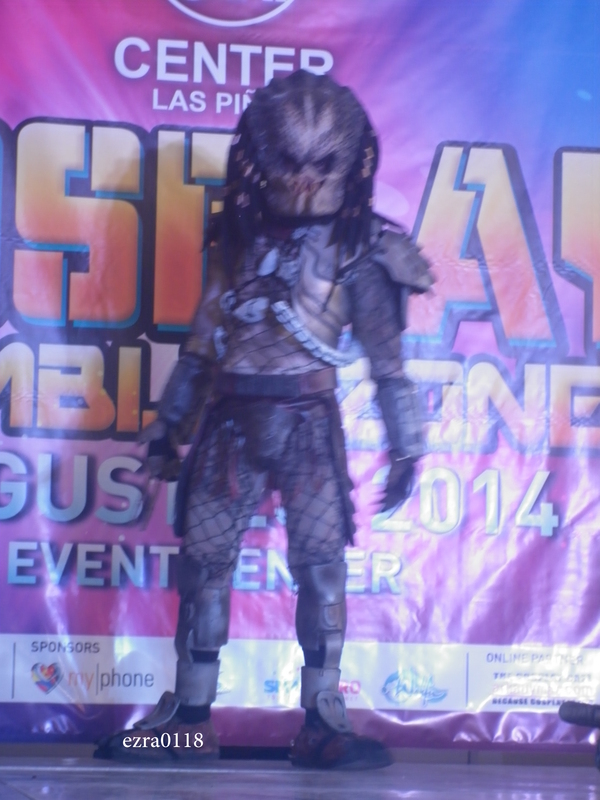 The cosplay event ended at around 6:30 and all the winners from each category were gathered together for a photo op. It was indeed a blast! Kudos to all the sponsors and staff behind the success of this Cosplay Rumble Zone event and congratulations once again to the winners of the competitions. Thumbs up also to all the participants who took part in today’s event. iCOZPLAY Philippines will be hosting another event this coming October 18 and 19 at Makati City. Dubbed as Toku Con, there will also be cosplay competitions, toy collectibles gallery, otaku goods and display during the event that will definitely delight the fans! To know more about the event, check this page. Posted in Random and tagged animated films, anime, attack on titan, avengers, chibi, cosplay, cosplay competition, cosplay event, cosplay rumble zone, gaara, icozplay philippines, ironman, league of legends, Loki, manga, Naruto, otaku, predator, sasha brown, shingeki no kyojin, SM Center, wakfu, war machine. Bookmark the permalink.